Innerspring or memory foam? It’s likely the question you’re contemplating if you’ve wound up here and I get why you’re asking it: These are, after all, two of the most popular materials used in mattresses today. And while some may say both make for great beds, I’m here to set the record straight and reveal which one is actually the best. So, while I’ll definitely touch on their respective histories and characteristics, I’m also going to tell you which material’s going to last longer, which is the least expensive, and which one I think could be 100% right for you. Thanks again to Layla for sponsoring this video! For more on the brand, check out my Layla mattress review as well as my Layla pillow review. You can also take a peek at my full interview with Layla founder Akrum Sheikh. Though the steel coil spring was first developed and patented for chair support in 1857, it wasn’t until 1871 that german inventor Heinrich Westphal constructed the world’s very first innerspring mattress. It caught on fast and, in the decades since, has become a bedroom staple across the globe. Supportive, bouncy, and firm, innerspring mattresses are especially popular with folks who like a “traditional” feel designed to position the sleeper more “on top” of the bed than “in” it. This vibe comes from the fact that the bulk of an innerspring is composed of a steel coil support system overlaid by a relatively thin foam topper. There’s not a lot of give with these mattresses, so I generally recommend them for stomach and combo sleepers. While the innerspring was the de facto option for most of modern mattress history (truly, beds didn’t differ much from this design until the early 1990s), it’s waned slightly in popularity over the past few years as other options have entered the market, including… memory foam! There really isn’t a material more different from innerspring than memory foam. Well-known for its sinkage and body-contouring properties, memory foam was first developed by NASA in the 1970s to improve seat cushioning on spaceships. While the material’s no longer exclusively galactic, it’s still got a pretty futuristic feel to it. When I interact with the material, I feel as though it does a fantastic job of absorbing whatever pressure I apply to it. Lying on top of a memory foam mattress is kind of like stretching out on a soft patch of grass in that it slowly acclimates to the unique curves of your body the longer you lie there. Unlike the innerspring, you’ll definitely feel more “in” this kind of mattress than “on top” of it, which could be a great fit for side sleepers in need of some cushiony support at the shoulders and hips. Now that we’ve got a pretty good sense of each material’s respective profile, let’s dig into their most striking differences! 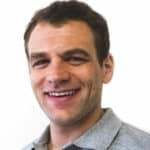 While you could go any which way in analyzing their dissimilarities, I’ve decided to break it down into the following three categories: Heat, Sinkage, and Bounce. Memory foam has a bit of a reputation for overheating at night. The material’s incredibly dense, so absorbs and traps body heat with ease. This can be a real bummer for folks who sleep hot at night, as the deeper they sink into the memory foam structure, the warmer they become. However, several brands are able to mitigate this by infusing their memory foam layers with special elements such as gel or, as in the case of Layla, copper. These infusions work to dissipate the trapped heat and keep things cool. Innerspring mattresses, on the other hand, typically sleep cooler than memory foam ones because the spaces between coils encourage greater amounts of airflow. This breathability does a lot to regulate temperatures throughout the night. However, all of this really depends on what other materials are used in an innerspring mattress. If the bed’s built with a thick top layer of foam, for example, it may not sleep as cool. Thanks to its slow response to pressure, memory foam features a ton of sinkage. This allows the material to adapt to each sleeper’s unique curves, resulting in a lot of relief and comfort. But not all memory foam mattresses are going to produce the same amount of sinkage; it really depends on how much of the stuff is used and the quality of the material itself. On the Layla, for example, you get a nice amount of sinkage but not so much that you feel stuck or trapped in the bed. As I mentioned up top, innerspring mattresses are incredibly bouncy, so don’t feature very much sinkage at all. Because of this, sleepers are likely to feel more “on top” of these beds than “in” them. Again, this isn’t always the case, as it really comes down to the other materials utilized in the mattress. As you could probably guess from our sinkage discussion above, memory foam has virtually no bounce to it, as the material absorbs rather than counteracts pressure. This sometimes creates a stuck-in-the-bed feeling, which can make it difficult to move around and change positions. However, this means memory foam is typically great at motion transfer, a big selling point for those who sleep with a restless bedmate. On the flip side of the buoyant coin, innerspring mattresses are super bouncy, and will likely leave the sleeper feeling more on top of the mattress than in it. The lift of an innerspring also leads to excellent mobility, which means combo sleepers should be able to move around with ease. Aside from these main differences, it’s also crucial to consider each material’s durability. After all, if you’re going to be investing in a new mattress, you’ll likely want to know how long it’s going to last. While there’s no set rule here, innerspring tends to have a slight advantage over memory foam, if only because high-quality steel coils have a reputation for lasting quite a while. But that being said, durability really does depend on the quality of the materials in the bed, not just the types of materials themselves. Sure, steel trumps foam in most cases, but a high-quality memory foam (think: thick and dense) will have just as long a shelf life — if not longer — than a coil support system. A little pro tip for ya: If you want to know if a mattress has high-quality materials, check out the warranty. The longer the warranty, the more durable the goods (usually). And finally, you’re also probably wondering which material is going to cost you the most money. Again, there’s no definitive answer here, but innerspring mattresses tend to be a little less expensive than memory foam ones. However, let’s not get a low price point confused with “value,” which not only considers cost, but also the benefits and overall quality of the bed. A side sleeper who needs deep pressure relief, for example, isn’t likely to be comforted by an innerspring mattress, no matter how affordable it is. On the other hand, a back sleeper who doesn’t have too many troubles sleeping at night probably doesn’t need to spend thousands of dollars on a luxury memory foam mattress just because the Internet says it’s the best. In my opinion, a mattress like the Layla strikes a really nice balance between value and affordability, offering all the benefits of memory foam (plush pressure relief, cozy sinkage) at a cost that won’t break the bank. 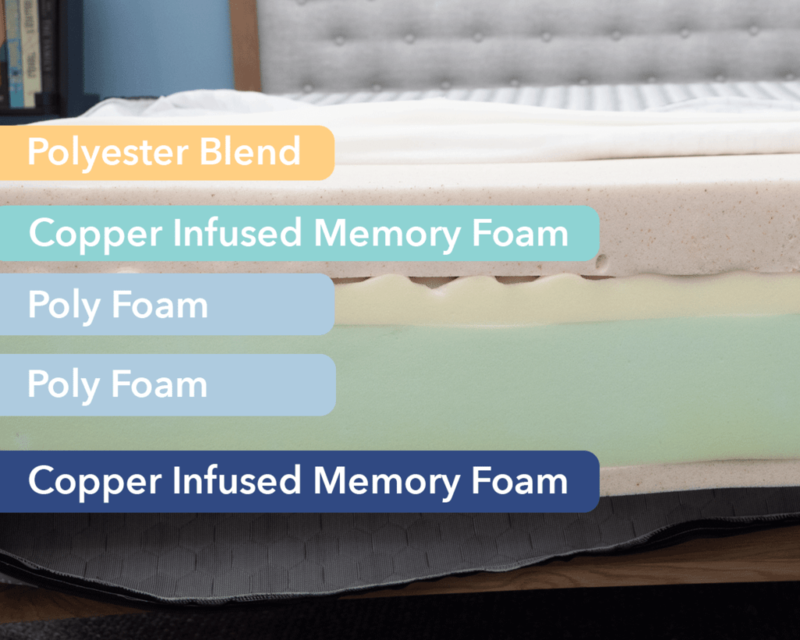 We’ve gone over the histories, divied up the differences, chatted about durability, and discussed value, so now it’s time to wrap things up with a few final recommendations to help you make your decision between innerspring and memory foam. Ideal for those after a soft and gentle sleeping experience featuring sinkage and deep body contouring. In that vein, I generally recommend memory foam mattresses for side sleepers who need pressure relief at the shoulders and hips. A lot of bounce, so could be great for combo sleepers who need to move around and change positions. In general, innerspring mattresses are firmer than memory foam ones, so could be good for those who need a little extra support. At the end of the day, it’s less about figuring out whether innerspring or memory foam is the better material, and more about deciding which one is going to be the best for your specific sleep needs and preferences. Still unsure? Leave a comment on the video above or shoot me a message on Facebook or Twitter.